2018-11-08 - Columbia, KY - Photo by Jennifer Hardwick. 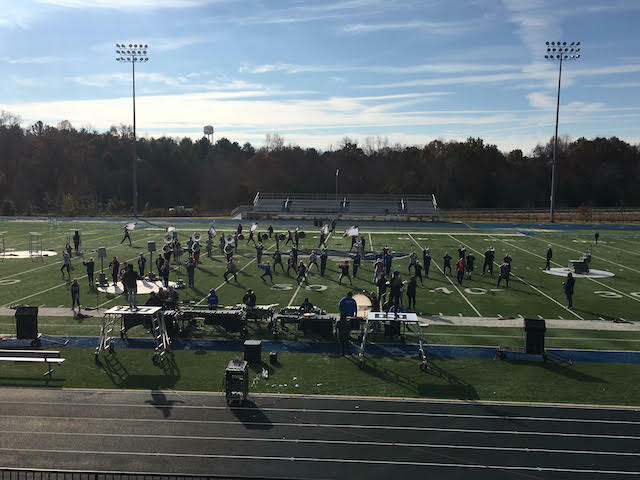 Jennifer writes, "Adair is practicing this morning at LWC before leaving to go to the Bands of America Grand National Championship. They perform tonight at 9pmCT at Lucas Oil Stadium in Indianapolis! They are on a quest to win their 5th straight, and 7th overall, National Championship!"